Zak Resnick is giving a breakout performance that just can’t be missed in the new off-Broadway musical Piece of My Heart. The young Mamma Mia! vet brings major star quality and killer vocals to the central role of Bert Berns, the man behind some of the biggest hit songs of the 1960s. Below, BroadwayBox chats with the rising star about embarrassing dance moves, issues with HGTV and an interesting Google search. 1. The choreography in this show is really wonderful, and the score has dance songs like “Twist and Shout” and “Show Me Your Monkey.” So I want to know: what’s Zak Resnick’s signature dance move? Actually, what comes to mind is this story about when I was in fifth grade, and I was really nervous about the big fifth grade dance. I had this girl that I went with, and I was like, ‘What am I going to do when we get to the dance floor?’ And I ended up taking my hands and rolling them together in the air —sort of like a conga line. I rolled them in the air and then I rolled them down by my hips, and I rolled them up again and then down by my hips. So I think that’s my move. Every now and again I still break it out. 2. You made brief appearances on American Idol and Dance Moms, but what’s your guilty pleasure reality show? Honestly, it’s probably Love It or List It. Isn’t that a terrible response? If I’m not watching HBO, Showtime or Starz, it’s always HGTV in my house—I don't know why. I just really love the Home & Garden channel. I like the Property Brothers too but my problem with them is that they don’t remake the whole house. Someone told me I was spoiled because I wanted the whole house done, and, ‘That's not how real people do things.’ And I totally get that, but if you’re on HGTV, I want you to do the whole thing. 3. The vocals in this show are just insane. Who do you sing along with in the car, shower, etc.? What vocalists do it for you? That's such a tough question. I’m pretty all over the map. Anything from John Legend to The Script to John Mayer to Smokie Norful. I’m really all about the tone of somebodies voice over range or anything like that—tone and lyrics. If you've got an interesting sound and meaningful lyrics, you've got me in the bag. 4. You studied for six months at the National Institute of Dramatic Art in Sydney, Australia. If we were to visit Australia but only had a day there, what’s one thing we’d have to do? I studied abroad there and it was the best time of my life. I can’t wait to go back at some point. The thing that I miss most is the camaraderie and the beaches. You’d have to know people there in order for this to work, but it would be getting all your friends together and experiencing a Sydney beach. There’s a beach called Bondi and a beach called Coogee. And I’d be like, ‘Let’s go to Coogee!’ And they’d say, ‘Coogee, that's the worst beach ever.’ Because they have beaches that are crazy incredible, but for someone from America, their lamest beach is the best. Just sitting on the white sand and watching the beautiful waves they get is really something special. 5. Did you know one of the first things that comes up on Google is Zak Resnick girlfriend? So let’s put the searches to bed: is there someone out there who has a piece of your heart? That is so funny; that’s amazing. [Laughs.] Yes, there is. 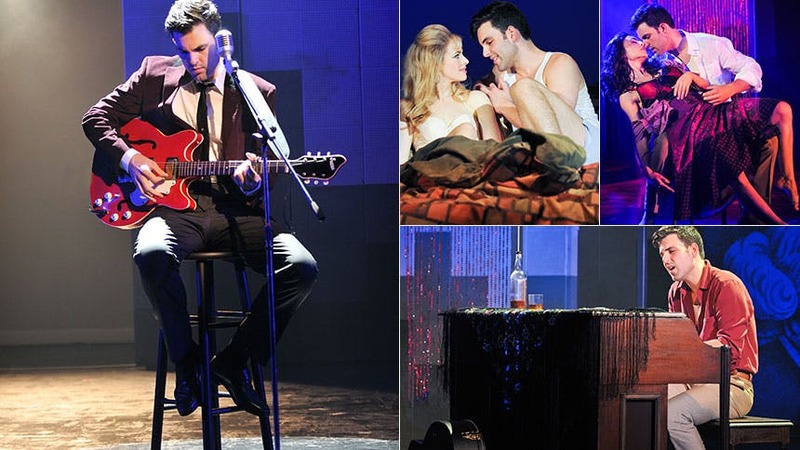 Don’t miss Zak Resnick as music great Bert Berns in ‘Piece of My Heart’ at off-Broadway’s Pershing Square Signature Center.